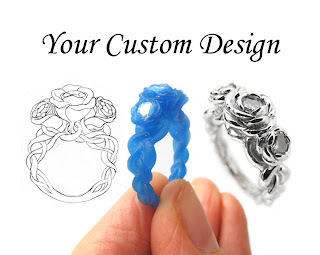 I am a trained jeweller and I have my Master's in Jewellery design and silversmithing and I specialize in custom designs offering a three stage virtual process. 6. Send me inspirational images, can be existing jewelry that has elements you like (not required). 7. Let me know any other design ideas like having a photo set behind glass, or incorporating hair, or other unique ideas. What occasion is it for? Visit me on Etsy so see what else I have in store. 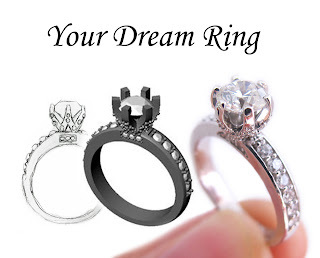 :) Looking for a custom designed wedding or engagement ring? Visit my Etsy shop.